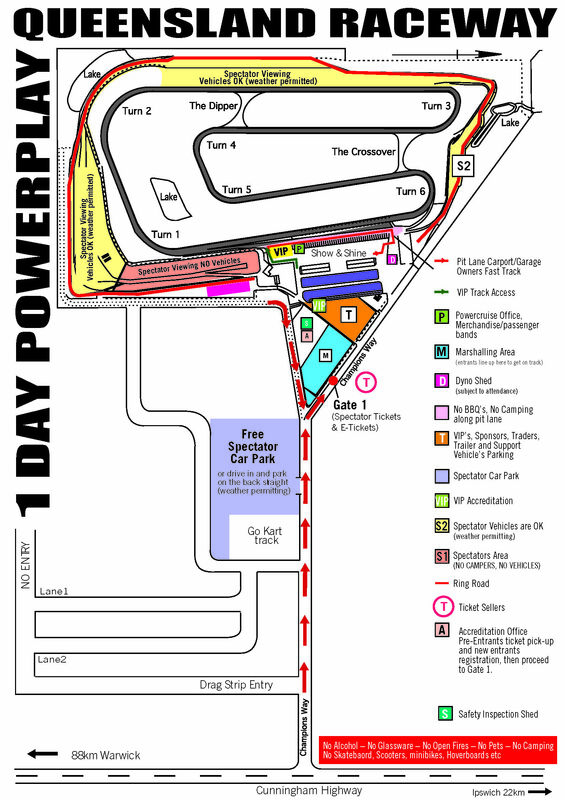 Come Play at Powerplay this Saturday at Queensland Raceway!! 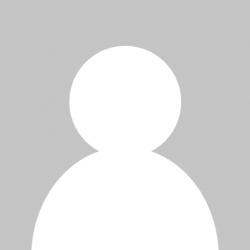 Powerplay will be Promo Model Mayhem, so come grab some photos with the girls! 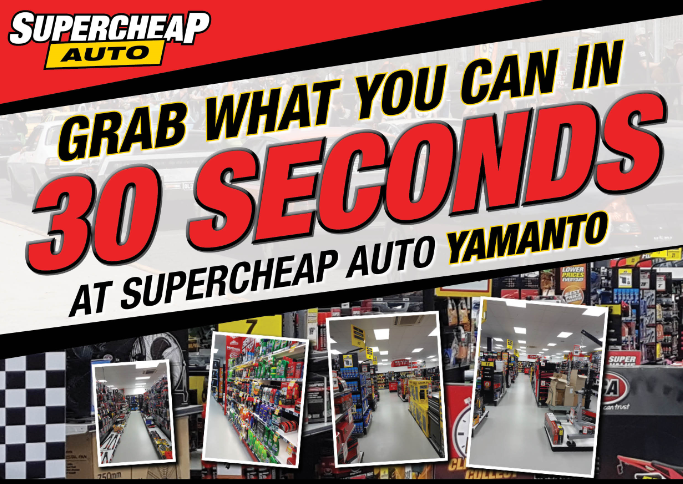 We are also excited to announce this Friday will be the first of the Supercheap Auto 30 Grab Promotions run in QLD – this is your chance to be let loose in Supercheap Auto Yamanto for 30 seconds to grab as many SCA items as you can, you just have to make a purchase at the store this Friday, drop the receipt in the competition box with your details and be at the store at 4.30 when the winner is drawn, full details are on the flyer below. 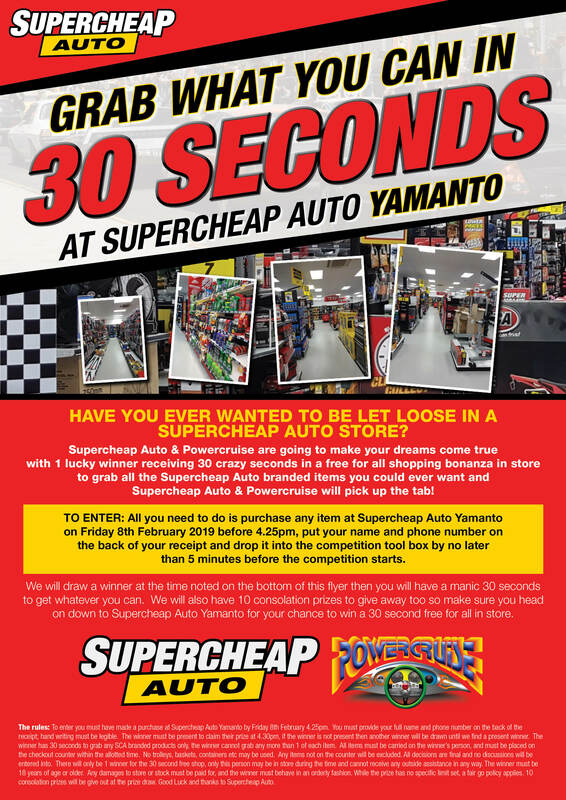 Past winners have bagged themselves up to $600 worth of SCA goods so go in with a plan and you could top that!! You may think 30 seconds isn’t long… but just get stuck behind a stalled car at a green traffic light for 30 seconds and see how long 30 seconds feels!! So get on board, and support those that support us!